No matter what career and field you choose for yourself, never do anything halfheartedly because once you become habitual to do things in haste you become prone to it and even you try next time for the better, it will not come out as natural as it should. From the very first day when you hit the door of your office, try to get sink into the atmosphere and surroundings. The better you gel in with the colleagues and supervisor, the better work environment you will have. This way the pressure will not pile up on your nerves and you would perform in a better professional way. The first thing that is important is to feel relaxed especially for a graphic designer it is very important to get adjust and synchronized between the office masses. Otherwise work load will bother you, you will feel discomfort, having bad terms in the surroundings will affect your working capability and you won’t feel comfy to perform good as your potential requires from you. Then comes the second step which is to deal the clients nicely. It is said if you have bad manners and a good degree both will go to waste like a shipwreck because when we don’t behave properly there is nothing in this world that will make you feel respected in return. Treat your clients as if they are your comrades, this way a friendly environment will help you to form a better impression on each other, it is good for being communicative and to get across a different mind. 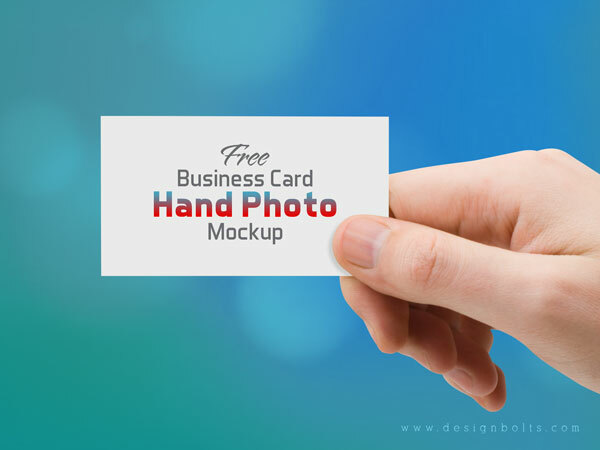 Today I am unfolding something for the designers who are seeking a business card mockup for their client to show in a presentation how the business card will look in the actual form so here look at the post of free business card hand photo mock-up. Insert your own image/element in the card and make it attractive enough to present before your client. I am sure this way the approval for the business card task will get granted by him and he will come right back to you for more art and design stuff. Subscribe us for more design posts in future as well.